Nobody wants to get arrested for a DUI, but when it happens, you need preparation and a strategy. In the 10 days after a DUI arrest, you might feel confused and scared, but you can do several things to make the process easier and less stressful. As soon as you’re able, hire a DUI lawyer to take your case. He or she can advise you on what to say and do as you navigate the legal process. Additionally, an experienced DUI attorney can prevent you from compromising your rights or the outcome of your case. The consequences of a DUI arrest can vary depending on the circumstances. For instance, arrestees might get lighter sentences for their first offenses, but if you already have a DUI in your background, you might face harsher penalties. Fines: If you plead guilty or are found guilty of a DUI, you’ll have to pay fines to the state. 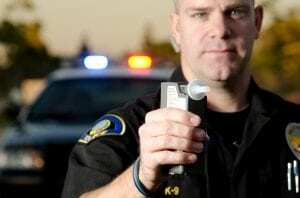 The maximum fines depend on various aggravating factors being present such as prior DUI’s, high breath alcohol results, and causing injuries to others. Jail time: Many DUI offenders must spend time in jail. After you’re arrested, you’ll likely stay in jail until you appear before the court. At that time, you might get released, or you might have to post bail. License suspension: To discourage further incidents of drunk driving, most jurisdictions suspend the driver’s licenses of people who get DUIs. The duration of the suspension can vary, and The State of Florida allows under certain conditions for you to apply for a hardship license that allows you to drive only in certain circumstances, and sometimes with a device that can detect alcohol on your breath. Once you are arrested for a DUI in Florida, there are certain administrative consequences that can severely and adversely impact you EVEN THOUGH YOU HAVE NOT BEEN FOUND GUILTY OF ANY CRIME BY A COURT OF LAW. These administrative consequences include the suspension of your drivers’ license for a period of six (6) to twelve (12) months. This suspension will take effect (10) days after your arrest, depending on the facts of your case. While hardship licenses that permit you to drive for limited purposes can be obtained, there are certain time limitations and other hoops you will have to jump through to determine if you can obtain a hardship license. If you don’t exercise your rights and take certain steps during this first ten (10) days, you will potentially lose certain rights that could keep your license from being suspended or will prolong the headache and hassle and extend the length of time it takes to get a hardship license. An experienced DUI lawyer can help you navigate these requirements and assist you in minimizing the length of time of your suspension and how long it may take get a hardship license. If you’re pleading not guilty to a DUI arrest, you’ll need compelling evidence to suggest that you were not intoxicated at the time of your arrest. Your lawyer can help you build a case. Getting arrested for a DUI can be scary, but if you know what to expect, you can handle the situation with less anxiety. For help fighting your DUI case, call McIntyre Thanasides at 844-511-4800 to speak to an experienced DUI lawyer. Stephen A. Leal is a Tampa Criminal Defense attorney with a concentration in traffic law, family law, felonies, misdemeanors and drug offenses. Is Possession of Drugs a Felony in Florida? Do I need insurance for my motorcycle in Florida?